My car is lowered and I went to get gas and as I left gas station I was doing 3mph at most and I was going at an angle ( prior to this I have bad mounts) and it sounded like my engine smacked the ground but theres no leaks no scrapes and the mounts are like it were before. I took it to a Japanese car specialist and he reset the battery and it came back on he said it may be a shortage but he doesn't know where. I guess what I'm really asking for is what am I looking for as a shortage and where should I look for the shortage? If you can please point me in the right direction I will appreciate it! 1. Take a paper clip, or if you don't have it take a piece of a spare wire approximately 1.5" long. Any small diameter wire would work. 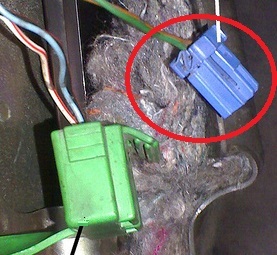 Strip both ends of this wire (remove insulation). 5. Now get in the driver seat and turn the ignition to ON but do not start the car. 6. Begin counting the check engine light blinks. The light shall first blink slow, then fast. Count how many times it blinked slowly and how many times it blinks fast. Each slow blink represents number 10, where as each fast blink represents number 1. So for example if you have 3 consecutive slow blinks followed-by 6 consecutive fast blinks the number is 36. Then there will be a pause in blinking, followed-by another set of blinks. If there are multiple check engine light triggers, than the second set of blinks would allow you to identify code #2 and so on. If the seconds set of blinks becomes repetative, then there are no additional codes to read. You can have many codes or only one. Once you read all the codes, report back and we will try to provide further assistance.